Teddy Bear dog is a new designer dog breed, a cross between Bichon Frisé and Shih Tzu. They resemble a child’s teddy bear, hence the name. They were first bred to serve as therapy dogs for disabled children, but they also make great family pets. Undoubtedly, Teddy Bear dogs are most known for their teddy bear-like looks (large eyes, soft coat, and an adorable face). That is not the only thing that makes their appearance special, however. They have a long coat that resembles human hair more than dog fur. 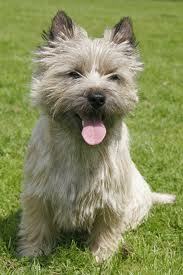 They are hypo-allergenic dogs, which means that they are very low in dander — perfect for people with allergies. They do require regular brushing and a haircut every two months or so. 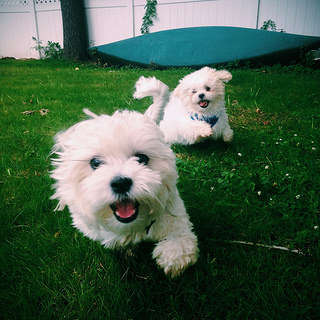 Teddy Bear dogs Winnie and Casper playing outside. Picture taken by Patrick. These hybrid dogs come in variety of colors. They can be white with patches of light or dark brown or even black, beige with and without white patches, or dark brown or black with patches of white. The nose on their endearing face is usually black, but on rare cases it can be brown as well. According to Renee’s Wonderful World of the Teddy Bear Puppy, Teddy Bear dogs are easily socialized and they get along excellently with every family member, including children. If properly socialized, they should not have any problem getting along with other pets as well. They are friendly, easy to train, intelligent, well-mannered, and not very loud. A Teddy Bear dog will let the owner know if a stranger is coming to visit, but they won’t bark at the stranger for long. Once the dog understands the stranger is a welcomed visitor, he or she will want to get along with the stranger as well. Like most small dogs, a Teddy Bear doesn’t need long walks for exercise. However, they would definitely enjoy walks or playtime at the park, so it is recommended to take your Teddy Bear dog outside as often as possible. Another thing that makes these dogs so great is that while they would prefer a large house in the suburbs, they are okay with apartment life as well. This designer breed has a rather long life expectancy of 12 to 15 years. The dogs are not affected by any of the diseases common to purebred dogs. That only applies to the first generation Teddys, however. It is too early to tell anything about the second or third generation. Teddy Bear dogs are not yet recognized as a breed by the American Kennel Club. But that’s okay, because it can take decades for a new dog breed to be recognized as an official dog breed. Teddys have not been around for long (they were first bred around the early 2000s), and their growing popularity gives hope that soon they will become an AKC-recognized dog breed. Teddy Bear dogs are already recognized by multiple designer dog organizations. 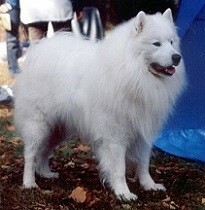 This is one of the fastest growing breeds in America and therefore in high demand. A lot of people are trying to take advantage of this situation by selling any small mixed breed dog as a Teddy Bear puppy. Know that a true Teddy Bear puppy is a mix of Bichon Frisé and Shih Tzu, and certified by the American Teddy Bear Association. The cost of a Teddy Bear puppy can vary from $800 to $1250.